The infusion of Essential Oils into our food provides a rich taste with powerful benefits that makes Doreen Sotelo-Celedon proud. DALLAS, TEXAS, USA, November 28, 2018 /EINPresswire.com/ — Essential Oils have a way of spicing up many situations throughout people’s daily lives. Whether this spice comes in the form of a mood enhancer or a bath bomb, oils enhance our overall essence. 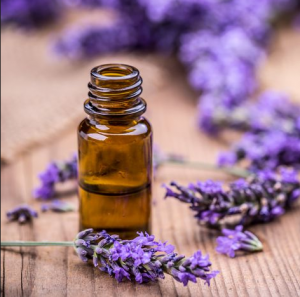 Many people enjoy experimenting with Essential Oils, to find new ways they can be infused int their daily lives. Doreen Sotelo-Celedon is a master at this infusion. From DIY projects to everyday replacements, Sotelo-Celedon has a knack for finding alternative uses for Essential Oils. However, one of Sotelo-Celedon’s favorite combines two passions; Essential Oils and Baking. Today, Doreen Sotelo-Celedon shares her secrets to infusing tasty treats with Essential Oils. Brownies are the Kryptonite of a baker with a sweet tooth. However, with these Peppermint Black Bean Brownies, they do not have to be. These brownies are full of protein, with a rich flavor that will have your guests begging you for the recipe. Plus, if peppermint is not the flavor you desire, there are plenty of other Essential Oil options. Doreen Sotelo-Celedon suggests substituting peppermint with Wild Orange, Lavender, or Cinnamon. Speaking of cinnamon, who can resist freshly baked Cinnamon Apple Chips, especially this time of the year? Fall is apple season, so if you are anything like Doreen, autumn brings in a whole bushel of fresh apples. Cooking up some cinnamon apple chips creates a dynamic snack that can be enjoyed by itself or accompanied. This is a healthy, anytime snack that will recharge your batteries and spice up a plethora of pairings. The list of fall favorites wouldn’t be complete without Pumpkin Pie. Doreen’s mini pie recipe is exactly what the season ordered. A mix of Cinnamon, Ginger, and Clove divine a delicious, personal desert that is sure to be a party favorite. However, if you wish to go the more traditional route, Doreen also shares a recipe for a full-pie too. Who can resist cute little finger food, pumpkin pies, though? The holidays would not be complete in many families without the famous Gingerbread Cookies. The spice of this cookie is what makes it famous. By using Essential Oils, you are sure to get a powerful flavor every time. Plus, these cookies are vegan, so everyone at the party can indulge without worry. Surprise yourself and your guests by the layered, rich, traditional taste, without using any ingredients that exclude dietary restrictions. This cookie is sure to be the sweetest treat at the party or family gathering. To close, Doreen Sotelo-Celedon is always looking for different ways to apply Essential Oils to her everyday life. Sotelo-Celedon has experienced the oil’s healing power first hand. Now, she wishes to share her findings and her uses with her patrons. For more information about tasty treats or other DIY projects involving Essential Oils, visit Doreen Sotelo-Celedon’s website.